The use of Artificial Intelligence in business setups isn’t something that is out of the ordinary, yet many business owners and entrepreneurs still struggle to adopt innovative AI tools in their business operations. While the tech sector, manufacturing sector and to a smaller extent the financial sector have successfully been able to incorporate different representations of AI into their systems, the innovation is still a fairly new concept for many in the corporate field. With the AI market share projected to reach an impressive $50 billion in 2020, investments in the field are at an unprecedented high. The influence of AI on the performance of any corporate entity is massive, as it guarantees a highly optimized process that yields the best outcome. Whether a business uses AI in the form of an application or as hardware capable of performing various tasks, the apparent benefit of integrating the tool into a corporate operational setup is increased efficiency. AI can improve the productivity of a business, and of course, boost its revenue in the process. The 5 methods discussed in this article are the most apparent in a virtually unending list. Most often times, at least in the past, key business decisions are usually taken after intuitive input that is based on vague evidence. This is, however, not a sustainable method of achieving growth with most competing entities now applying AI analytic tools that are able to perform in-depth analysis of business performance and generate flawless results that can then be used to adopt new policies. The data that is collated by the AI tool is usually massive and composed of very valuable information that needs to be properly interpreted before administrative action can be taken. There are AI tools that are capable of conjuring advanced algorithms for the sole purpose of converting very complex data into a discernible report. AI also ensures that companies and businesses can accurately calculate their KPIs; and hence, deduce their financial situation. Using AI for assessing the overall health of a business is a no-brainer since it doesn’t only ensure the delivery of accurate results, it also guarantees the adoption of a suitable solution for any lingering challenge. Marketing is a vital aspect of a business’ operation that requires tactfulness and a bit of ingenuity to be successful. With digital marketing now being the most exploited marketing channel for both start-ups and established businesses, the incorporation of AI into its execution has become widely accepted as the most effective way to use the medium. In the social networking site, Facebook, AI is used when carrying out a marketing campaign for a product that is specifically targeted at a group of users. Using Facebook bots to analyze its users, one can effectively narrow the target audience for the marketing campaign and at the same time increase the chances of generating sales. There are also AI tools that can carry out outreach campaigns via email and successfully convert a lot of generated leads. This medium is most effective for B2B marketing since it is easy for the AI tool to retrieve email addresses from search engines. The bots are also able to streamline their client search, by focusing on the email addresses of businesses that belong to the niche being targeted by the primary business. When it comes to the marketing of local businesses, AI can be used to modify the target audience of the ad to streamline the client search to those that are located in the locale of the business. The remarkable success of AI-centred virtual assistants in tech innovations like Apple’s Siri and of course, Microsoft’s own Cortana, has provided enough evidence that chatbots and other forms of AI assistance tools do indeed have a place in business operations. Whatever the niche of business is, it can be effectively overseen from the customer service standpoint with the aid of very efficient chatbots and a collection of virtual assistance tools. This doesn’t only guarantee a reply to every customer query; it also ensures that all queries are attended to regardless of the time they are sent. Freelance platforms also integrate AI tools into their customer service. While some help users to easily find freelance work by consistently sending job updates, others notify users of opportunities to practice freelancing online. Since most of the business operations involve the routine completion of assigned tasks and performance of specific duties, the best way to bring about an increase in efficiency is by implementing automation, which can only be accomplished with the use of AI. Automation is basically the continuous execution of a business’ operation without any delay or interruption. It is a feature that is common to many internet businesses including freelancing websites like Vulpith. Simple tasks like sending response emails, notifying customers about the availability of a product, and of course, the actual sale of products can be automated to increase the efficiency of service delivery and reduce the occurrence of errors. Automation has been proven to optimize the performance of a business, and this most often ends up leading to an increase in the revenue generated. As a brand that provides a service or delivers a product, uniformity is a watchword that is vital to the success of a business. This is simply because uniformity in the delivery of service ensures that customer expectation is always met, and alterations do not occur. 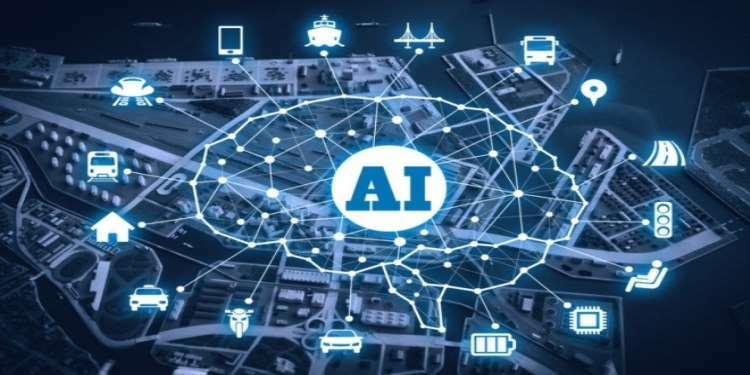 The application of AI to the operation of a business guarantees uniformity since the AI tool is programmed to always function in a particular manner, thus, ensuring consistency in service delivery. AI has become an important tool for businesses who wish to optimize their operations as well as their performance, and as more innovative tools continue to be developed, it is not far-fetched to see a business’ entire structure being completely centered on AI. The operation of a business should always remain optimized to improve productivity and boost revenue, and the incorporation of AI into the operation of a business is the fastest way to achieve this goal. How AI optimizes the business operations is further elaborated in this post.